Since 1996, ProSeS BDE GmbH has been an expert partner for more than 250 customers with over 12,000 connected production machines in the plastics and metal processing industry. With our ODA system, we offer our users targeted support in the optimisation of their production processes and help them to achieve increased process efficiency and greater productivity. The system provides comprehensive coverage of all production areas and can be integrated into existing IT infrastructures. We have over 35 highly qualified staff on hand to give our customers advice and support on all areas of the ODA system. Our experienced project managers supervise installation and thereafter, remain reliable points of contact during everyday production. The establishment of good and lasting relationships with our customers and business partners is a priority for us. Our strength is a comprehensive business concept in which employees contribute decisively to our corporate success and work together professionally as a team to provide optimum support for customers worldwide with industry-specific ODA solutions and success-oriented concepts. First installation in the metal sector. Installations in other European countries (Italy, France and the Czech Republic). The company relocates from Niefern-Öschelbronn to Pforzheim. At this time, ProSeS already has 100 customers and has doubled its customer base between 2000 and 2002. The MES Group is founded, comprising ProSeS BDE GmbH, Quipsy CAQ, Econ Solutions and IVS, with the aim of offering customers holistic solutions on a partnership basis. Takeover of IT company CIM-Service GmbH. ProSeS expands its range, integrating the metal sector and connecting more than 500 machines in over 10 companies. The number of employees rises to 20. Purchase of the entire office complex. ProSeS wins an award in the category “Special Technology“ at the international plastics fair Plastpol in Poland. At the same time, the company concludes a sales co-operation agreement with Polish company Dopak. Many international firms already rely on ProSeS BDE GmbH and its expert support. Development of a browser-based terminal solution. Integration of new mobile ODA system components. 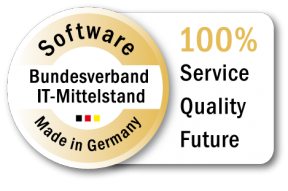 The German federal association of medium-sized IT companies awards ProSeS ODA its seal of approval for service, quality and investment security. More than 10,000 production machines connected to the ODA system. Integration of energy measurement (EDE) and partnership with econ solutions GmbH. ProSeS takes over CAQ company Quipsy Quality GmbH, thus expanding its operations to cover the field of quality management. Achieve greater transparency and maintain an panoramic view of your production processes with our ODA system. Our system links production machines and PC workstations. The hardware captures the cycles of all machine and control system types. The system comprises operating terminals, signal acquisition modules and software and covers the three main task areas production control, quality control and real-time display. The key approach here is the optimisation of production sequences and the forward-thinking, detailed planning of processes. Automation and proven work processes within the ODA system result in improved speed, efficiency and control. All levels of the production system communicate with each other automatically and without frictional losses. Visualisation of the actual production status allows timely monitoring of all production parameters and the identification of weak points. 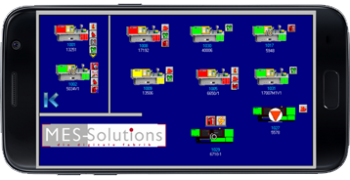 At all times, the system delivers information on the status of the machines and events occurring during production, thus giving you a 360° view. Optionally, this information can also be transmitted in real time via Messenger, text message or e-mail. Increase productivity and reduce operating costs? You want to be right up to date on production status? Create short paths and win more time? Exploit your full value creation potential? Get ODA messages on smartphones? Achieve maximum safety and efficiency of processes? Manage DNC sets quickly and reliably? Reduce start-up costs and repairs? Compliance with established industrial and quality standards is part of everyday life in the plastics and metal processing industry. This places high requirements on operational quality assurance. To ensure compliance with quality requirements at all times, electronic support via a CAQ system is advisable. Our product QUIPSY® CAQ offers professional quality management services and creates the perfect interface to the ODA system. It includes drill-down analyses, situation-based messages, meaningful quality KPIs, professional reports and templates for the management. Our system thus meets all requirements, both on the employee/user side and from the management perspective. The system can be integrated seamlessly into existing IT landscapes and communicates with all levels without any losses. 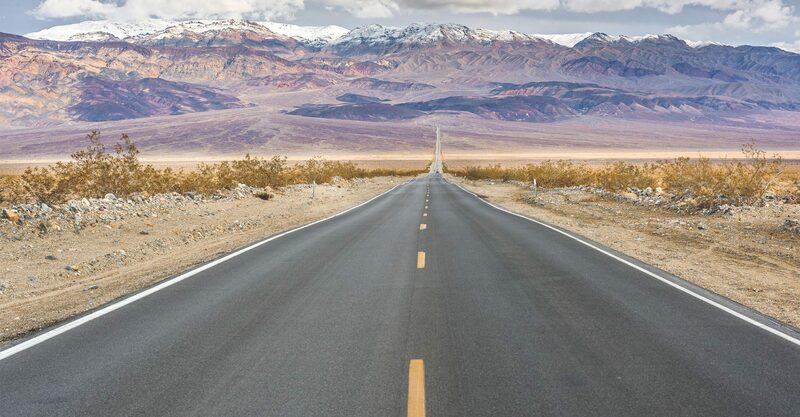 For example, test jobs are made available to every user in a timely manner, and feedback flows automatically to the connected systems. You want quality assurance that is professional and geared to the future? QUIPSY® CAQ gives you the ideal basis. Our experienced project managers will work with you to find the optimum CAQ solution and tailor it to the relevant processes. Its modular design allows you to quickly and easily adjust the ODA system to current operational situations and put it into operation. 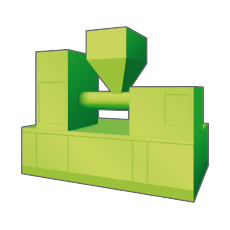 Customisations map production processes, enabling intuitive operation of the programs by the users. Modular configuration levels grow with the company and provide the option of integrating and successively incorporating further functions and operational areas at any time. Your company and the users of the system are our focus. In consultation with you, our experienced and highly competent project managers define the relevant ODA components which can be applied profitably. This means there are no unnecessary costs as a result of unused system components. 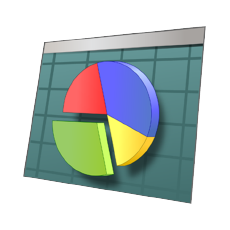 The analysis module for evaluation and reporting of production data provides a comprehensive overview of the operation data. 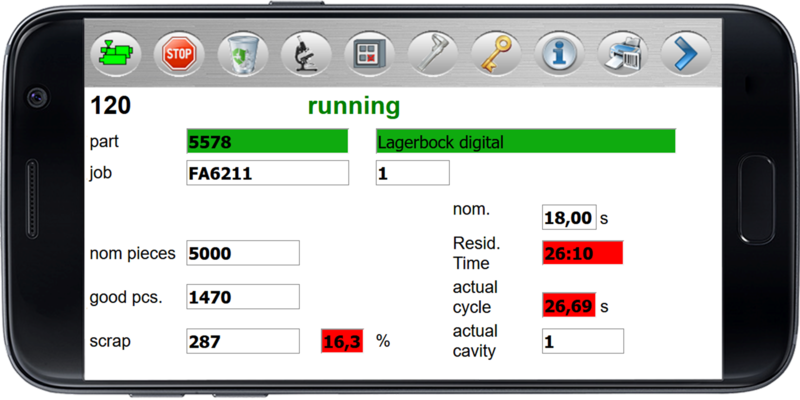 The Production Monitor visualises your entire production plant in real time and presents a virtual image of the actual status. All events occurring can thus be detected immediately. With the ProSeS group terminals, feedback from the production hall flows promptly and with little effort into the ODA system. The ProSeS Maintenance module is the optimum way to reduce start-up costs and repairs. 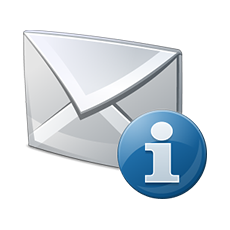 Using the Electronic Information System EIS, the very latest operating data can be forwarded automatically as a text message, via e-mail, voice mail or smart message. The process data module allows convenient management of the tolerance limits and limit values for the setup and production parameters. DNC Administration maps the paperless exchange of DNC records between machines and the ODA system. 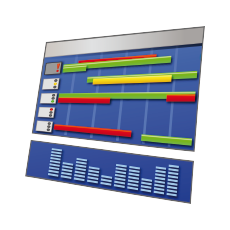 The detailed planning display offers production managers many tools and industry-specific functions for optimum control of production processes. 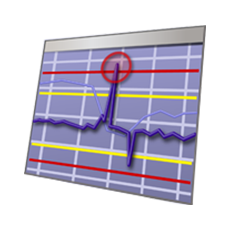 The Web Reporting module displays a wide range of information at a glance and is therefore ideal for monitoring key performance indicators in real time. It is made up of individual tiles, each of which represents one machine and is subdivided into various information fields. 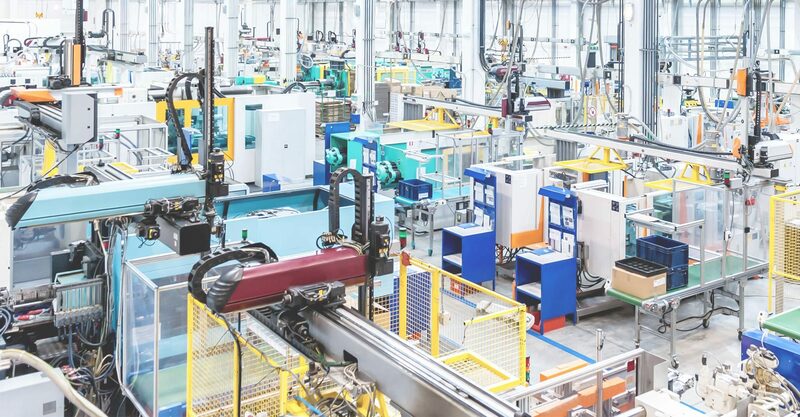 In these fields, you can display all information available within the ODA system in processed or absolute form – for example, machine statuses, good piece quantities or scrap rates. This allows frequently required KPIs or other data to be displayed in up-to-date form at all times. No more laborious and time-consuming searching at a PC or in the system. The number of tiles depends on the size of the screen. To find the optimum solution for your needs, the size, number, depiction and content of the tiles is defined in a meeting with the project manager. This means that each Web Reporting module we create is unique, 100% customisable and expandable. One of the main advantages of the Web Reporting module is that it can be displayed on any device equipped with a browser – including smart TVs, tablet computers, smartphones, etc. 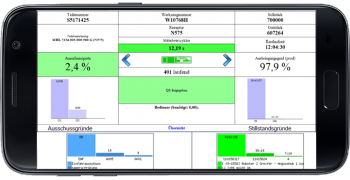 Moreover as with the Web Production Monitor, it is particularly useful to display the Web Reporting module on a large screen within the production plant. Changes in the production status are visualised in real time. The user can therefore immediately identify and process all events such as a lack of production enables, exceeded scrap limits or staff shortages. The difference between the Web Production Monitor and the Web Terminal is that the Web Production Monitor only displays information, whereas the Web Terminal allows you to operate the system on the move. The Web Production Monitor can be accessed from all mobile devices equipped with a web browser. A network connection is required. 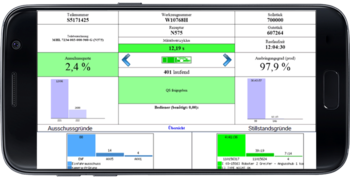 You can view the current status of production wherever you are – in the shift manager’s office, anywhere on the site or even outside the plant. 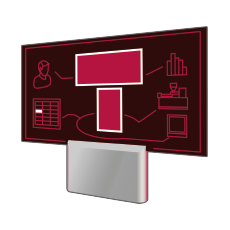 Display on a large screen in the production plant has proved particularly helpful, as it enables all personnel to react directly to events as they occur. Modern TVs have a web browser. This means it is no longer necessary to connect a PC to the TV set. The Web Production Monitor is used exclusively to provide information. In contrast, the system can be operated using the Web Terminal. This means it can be used both to display information and to make entries. 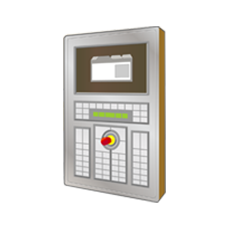 Almost all the functions of the PC application “PC Terminal” are also available to the user in the mobile version of the PC Terminal. 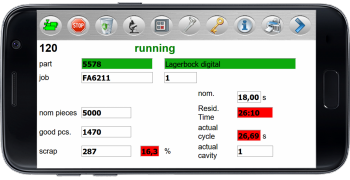 The functionality includes detailing downtimes, entering scrap, starting/ending run-in mode, etc. The Web Terminal allows decentralised operation of the system. This results in a number of advantages for users; for example, the mobility it offers gives employees and therefore your production plant added flexibility. The application is browser-based, which means that it can be accessed from any device equipped with a browser – for example, smart TVs, tablet computers, smartphones, etc. We are here for you! Not a call centre, but experts who are available to advise and support you. 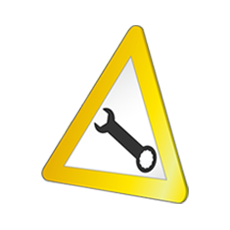 Not only over the phone, but also with remote maintenance via the Internet, in just a few seconds and for PC and Mac. It is extremely important that an application is uncomplicated and convenient in everyday use. When you have been using a software application for a while and no longer notice it, when you take it for granted and can no longer imagine how things worked before you had this system, that’s when you know it’s right. We all aim to carry out all customer orders without errors and to use the system to maximise machine capacity utilisation and continuously improve processes in order to boost our competitiveness. The plastics industry is a highly competitive growth market. To hold your own on this market, you have to work quickly, intelligently and to high quality standards. as an integral part of the whole. In such an environment, employees will automatically identify with the company and its products. Responsibility and scope for individual structures give every employee the opportunity for professional and personal growth.